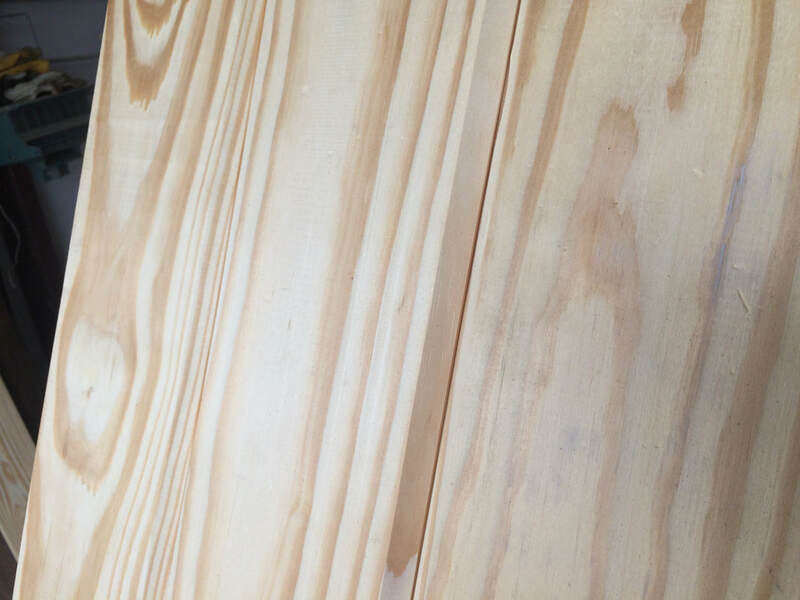 Fairhope Woodworks offers 1” x 6” Nickel Gap / Shiplap and 1” x 6” V Groove wall board. The actual dimension for 1"x 6" are ¾" x 5 ½". 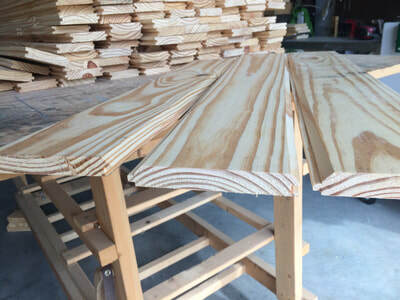 These boards come in 9’ to 10’ lengths. 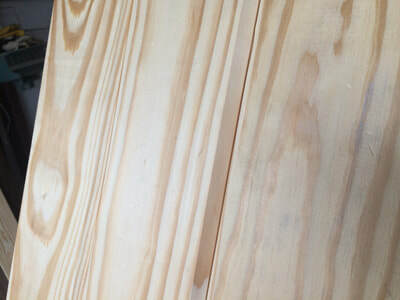 Our Nickel Gap / Shiplap a very popular. It is almost completely clear of defects such as knots. 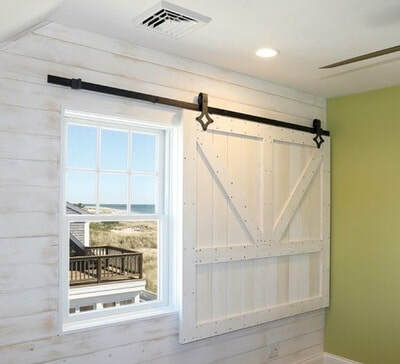 The pine wall siding option refreshes the interior with a casual comfortable cottage look. Great for wall boarding, ceilings, walls, wainscoting, paneling, and siding. 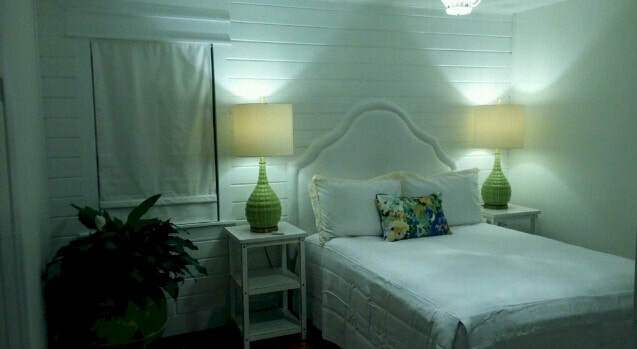 1”× 6” Gapped Shiplap Pine Paneling with ¼” gap | Cottage Paneling (5″ face) Wallboard. 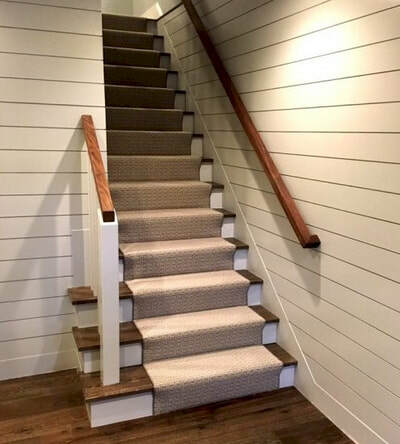 walls, wainscoting, paneling, and siding. of colors to match your decor. 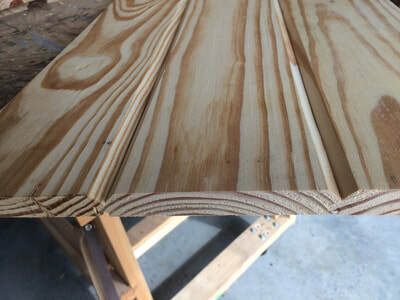 The faux finished boards come in 5’ lengths. 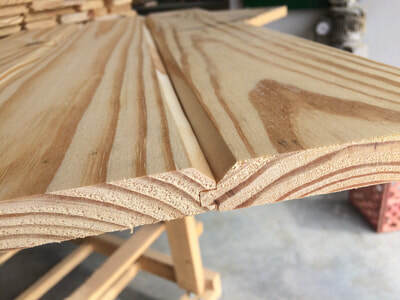 When the wall board is received on a job site, the material must be acclimated before installation. 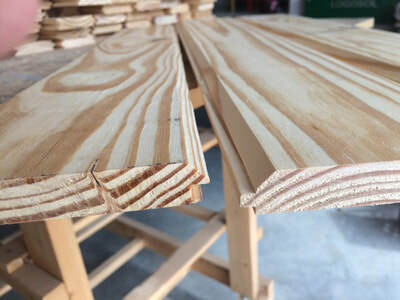 Acclimating a yellow pine allows time for the wood to adjust itself to a moisture balancing point to help any future shrinking and swelling of the product. Ideally, all yellow pine should be stacked and sorted in each room where the wallboard is going to be installed 5 to 14 days prior to installation depending on the local humidity and weather conditions.